Use the calendar below to check tour availability & to book your reservation. Available spaces are listed in green. All reservation changes and cancellations must be made by calling 801-534-1907 96 hours before the tour departs (if canceling for Monday or Tuesday tour you must call before 4:30pm on Friday). If you do not cancel your reservation within 96 hours you will be charged a no show fee of $175. If you do not call and don't show up the day of the tour you will be charged the full price of the tour, for all seats resevered. 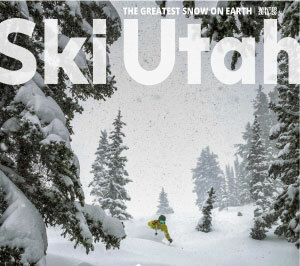 Be aware that the Ski Utah Interconnect Adventure Tour is for Advanced to Expert Skiers Only. The tour involves skiing in a variety of snow conditions, traversing, and climbing and should only be attempted by skiers in good physical condition. If you think you're ready for the challenge, book your spot today. Because of the nature of the tour it is not open to snowboarders. Participants must be 16 years and older. If you decide to dropout of the tour before completion you will not receive a refund. Thursday and Saturday. Opportunities to ski Snowbird Ski & Summer Resort, Alta Ski Area, Brighton Ski Resort and Solitude Mountain Resort. Monday, Tuesday, Wednesday, Friday and Sunday. Opportunities to ski Deer Valley Resort, Park City Mountain Resort, Solitude Mountain Resort, Brighton Ski Resort, Alta Ski Area and Snowbird Ski & Summer Resort.